Celeb Gossip News – Crazy Rich Asians: Does Crazy Rich Asians have a post credit scene? Crazy Rich Asians: Does Crazy Rich Asians have a post credit scene? The rom-com of the year, the last three years even, is undoubtedly Crazy Rich Asians. Starring Constance Wu and Henry Golding as Rachel and Nick, the movie follows their love life as money, class, and identity all do their bit to foil love. Based on the novel of the same name, the movie adaptation had to make some sacrifices to plot and character. Does Crazy Rich Asians have a post credit scene? No, but it does have a mid-credit scene, which fans of the novels will be extra excited for. While the scene itself is free of dialogue and lasts only about a second or two, it reveals quite a lot about the planned sequels. 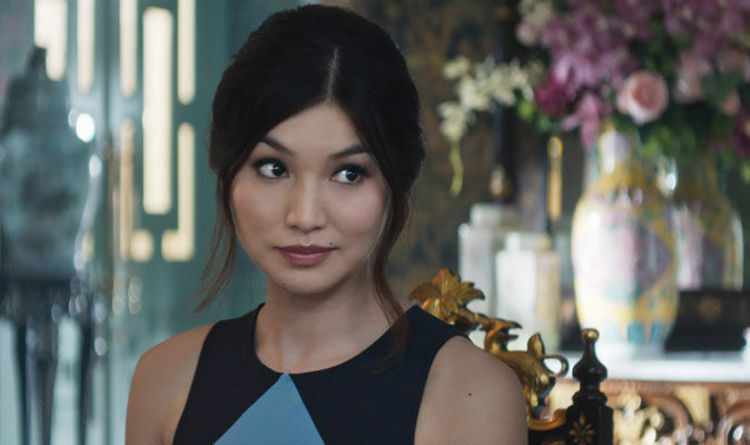 The scene shows Astrid, played by Gemma Chan, walking through the crowds at Nick and Araminta’s wedding. Fresh from her own split with her husband (he stormed out of the car after she confronted him about his affairs) Astrid can be seen glancing sidelong at another man. This man had not appeared in the final version of the movie, despite having shown up in the trailer as screengrabbed by the below Tumblr user. His name is Charlie Wu, and he and Astrid are integral to the next series of Crazy Rich Asians movies. In the novels, the two were young sweethearts whose break up was designed by Astrid’s parents – for many of the same reasons Nick’s parents were opposed to Rachel joining their family. However, Astrid is a free woman now – and Charlie Wu seems to be waiting for her if that mid-credit scene is anything to go by. Director John Chu initially planned to put the Astrid-Charlie romance in the first movie. He said: “What we put in the movie was great — they actually dance together — and it was so awesome, and Harry’s so charming and so lovable. “But the problem was, it made Astrid feel like she was leaving Michael for Charlie, and we didn’t have enough room to expand on the idea. “We just had to stay focused. Ultimately it’s about her independence, so that scene was in there all the way until the very end. “When we took it out, Astrid’s journey became stronger. It was about her, not about her finding love,” Chu said. Luckily, it seems Astrid and Charlie will have a whole movie to themselves to work through their romance plot. Crazy Rich Asians is out in UK cinemas on September 14, 2018.